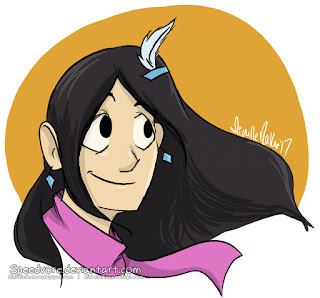 Michelle Rakar's Art Cave: First Digital Drawings in Awhile! As soon as I got back home, I drew some quick digital sketches, because I've missed drawing digitally. I'm excited to draw a bunch more now that I'm back! I'm back from camp and part one of my vacation, which means I get to use my cintiq at long last! I gotta get used to drawing digitally again, but it feels so good. 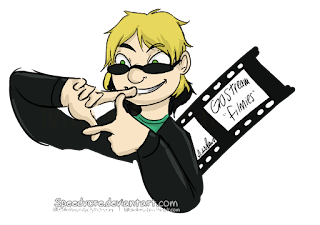 Me and my brother were working on a project that involved film strips and we kept on calling them filmies. So here's Gostream with the filmies.